This year’s Tour starts in Düsseldorf in Germany. The Tour visits Germany for the first time since 1987. When doping was riding cycling, also in Germany, Germany said no. 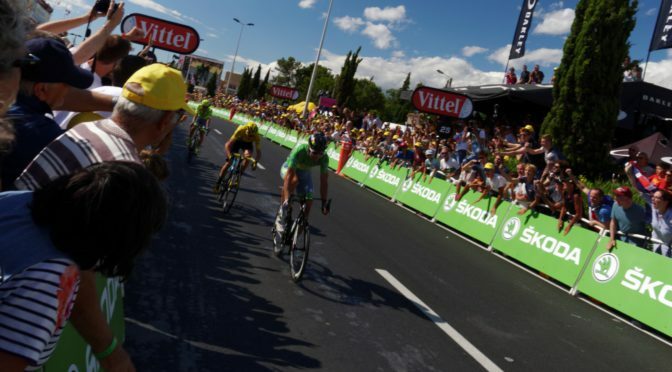 German TV stopped broadcasting Tour de France. But now, German riders like André Greipel, John Degenkolb, Tony Martin and Marcel Kittel, have put their mark on Tour de France and other big cycling sport events. The Tour starts with a prolog in Düsseldorf. We are north of the “wine border”, even though the climate change may move it further north. Even in my country, Norway, there is some wine production. But in Düsseldorf, we have to start with a beer. I was disappointed when I saw the route from Düsseldorf. I had hoped for stages in Mosel and the wine districts along the Rhine. But the riders are going to Liege in Belgium. There is not much wine along this route. 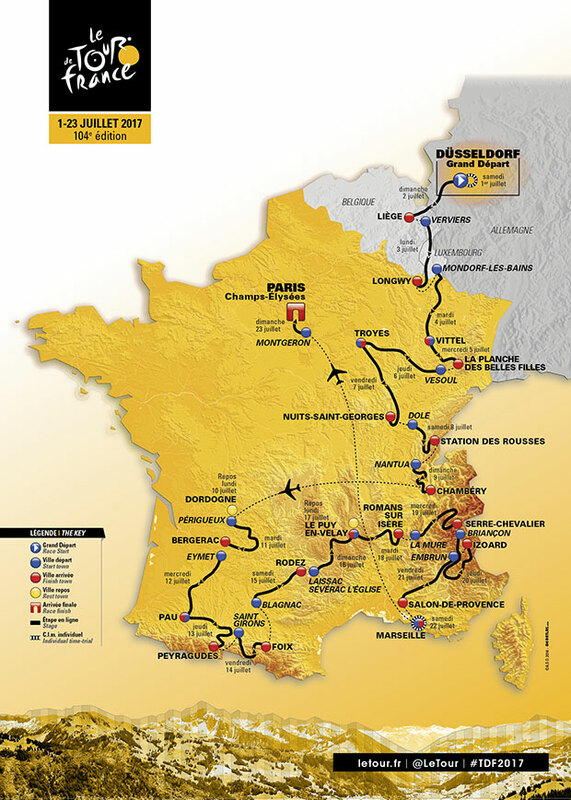 From here, there is a stage mainly in Luxembourg, before the Tour enter France. After the announcement of Düsseldorf as the city for the grand depart, I had been looking forward to German wines. Belgium it the worlds most interesting beer country, but the Tour has been in Belgium many times, and it is already confirmed that the grand depart will be in Brussels in 2019. But I will not be stopped by that. We will have some Belgian beer, and German wine for stage 2. The river Mosel is for some part the border between Germany and Luxembourg. While the riders are in Luxembourg, we will float downstrem, into Germany during stage 3. Jeg var skuffet da jeg så ruten videre fra Düsseldorf. Jeg hadde håpet at vi nå skulle kunne ta for oss tysk vin. Men rytterne skal rett fre Düsseldorf til Liege i Belgia, og det er ikke mye vin langs den etappen. Herfra skal rytterne gjennom Luxembourg, før vi kommer inn i Frankrike. From a wine perspective, the stages 6 and 7 are the more interesting. Stage 6 take us into the little known, but very interesting Aube district in Champagne, and stage 7 will take us into Nuit-Saint-Georges and the heart of Burgundy. Stage 10 will take us to Bergerac, one of many wine districts that is less known as it deserves. We will go for some stronger drinks to stage 11, through Armagnac. Stage 16 will take us to Hermitage in the Rhône valley. As usual, it will be difficult to find wine when the riders are in the mountains. And true to the tradition, it will be champagne for the final in Paris. 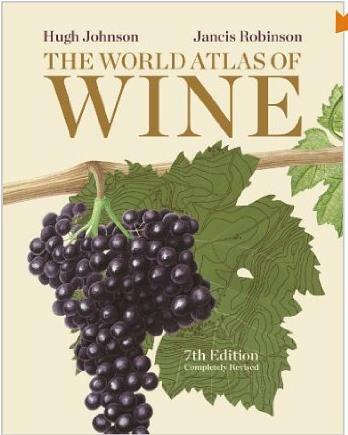 If you will have only one book on wine, “The World Atlas of Wine”, by Hugh Johnson and Jancis Robinson is the one you should have. It is a classic, and it is now in its seventh edtition. It is a beautiful book with nice maps and excellent content. It covers the entire world, but still with an emphazis on "The Old World". Buy it from Amazon UK or Amazon US. 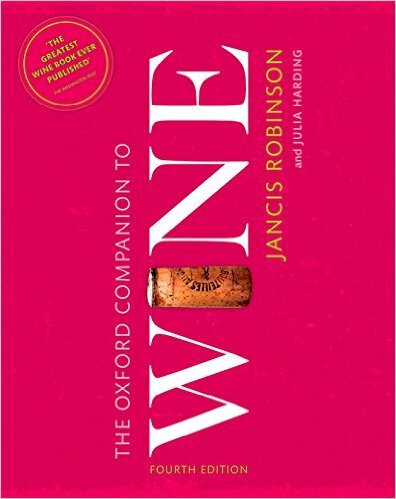 If you want to have a more encylopedic book on wines, Jancis Robinsons and Julia Child: The Oxford Companion to Wine is the one to have. It is an encyclopedia of wine, with articles on not everything, but as close as you can get in one volume. It is written by on of the world's leading experts on wine. I have the third edition, published in 2006. It is now in its foruth edition, published in 2015. A lot has happened in the wine business since 2006. So maybe I should get myself a copy of the most recent edition. It is available in hardcover edition and Kindle edition. When reading a book from beginning to end, I like Kindle. But when jumping around from one article to another, I prefer the paper version. An e-version of a book like this should be organized like a database, not as a "book". Order from Amazon US: Kindle edition, or Hardcover edition. Order from Amazon UK: Kindle edition, or Hardcover edition. How to find the best French wines? I could have added: The best wines in a region or in a category. 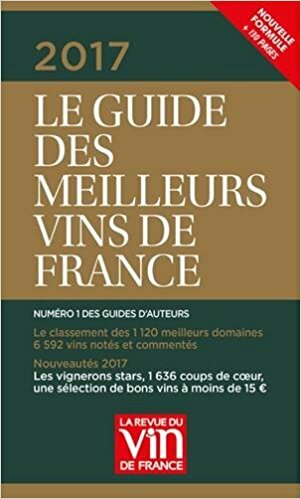 When I am searching for good wine producers in France, be it to find wines along the Tour de France roue, or wines I would like to taste and maybe buy, I use three books to orient myself. There are (too) many wine producers offering wine tasting. We cannot just visit them randomly. Then we risk to taste a lot of uinteresting wines, and miss the better wines. When I visit a producer and taste their wines, I feel a pressure to buy some wine, despite that I know I can just say merci beaucoup, and leave. It is necessarry to do some research, and find the wine producers to visit. For this purpose, I use the three books. There are three books, published yearly. Now I use the 2017-editions. I always have problems deciding which is the better one, and end up buying all three. Some of the books are available in Kindle, versions, but for this kind of books, I prefer the paper versions. I have to add that these books are in French only. 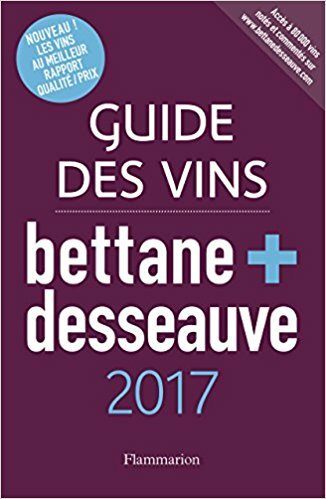 This year's edition covers 1120 producers and 6592 wines. I started to buy this book to have all three. As it was the third book I got to know, it has become the third book I consult. But this is a habit, more than a result of critical evaluation. There are guidebooks for reasonably priced wines. I have bought a few of them, but has stopped buying them. This does not mean that I am snobbish (or rich), and only drink expensive wines. Most of the wines I am drinking is reasoably priced. Reasonable wines are not excluded from the books mentioned. 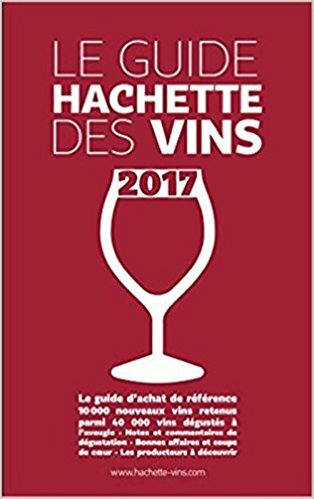 If there is a resonably priced wine of high quality, you will find them in these books. But I am searching for good wines, not cheap wines. I am not trying to locate a producer because of its cheap wines. Then I choose one of the wines I find in the supermarkets when I am in France. In addition to these books, I read about wine in quality newspapers back home in Norway. But I see not point in mentioning the Norwegian newspapers in this English language version. I also read regularly two French wine magazines, La Revue du Vin de France and Terre de Vins. The latter is published in Languedoc, and has a kind of southern profile. I also read the English wine magazin Decanter.